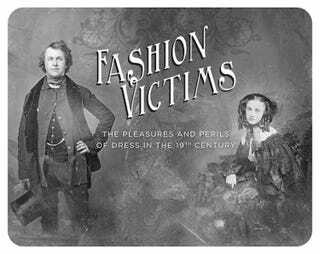 Toronto's Bata Shoe Museum is currently hosting one of the coolest (if not the only) death-and-clothing related exhibits ever, entitled "Fashion Victims: The Pleasures and Perils of Dress in the 19th Century." The exhibition is made up of 90+ clothing items that have all… well, killed people. To read this Victorian-era clothing exhibit is to die for.... literally, head on over to Roadtrippers to plan a trip to the Bata Shoe Museum!